Our beautifully seasoned British Pork meat blend of shoulder and belly. Ground to a medium mince to show the quality of our meat. 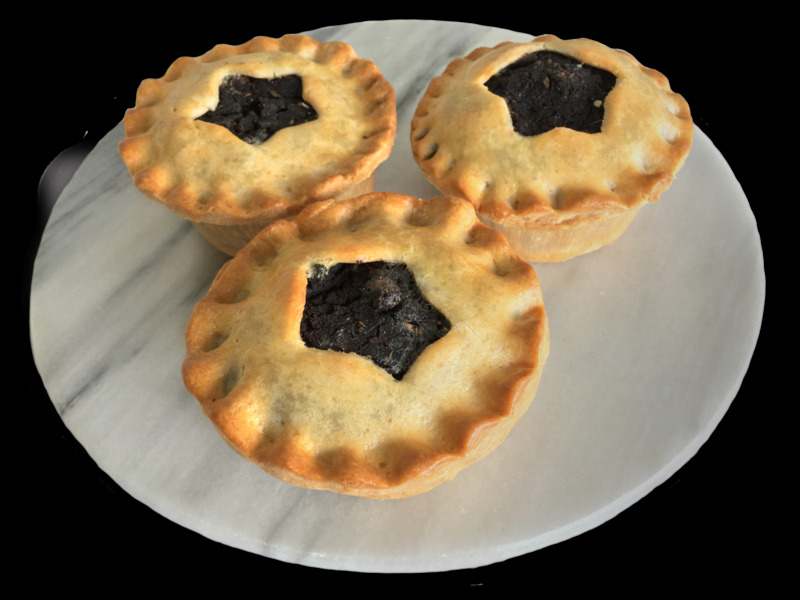 The pastry case is almost filled, except to allow A sliced “disc”of premium Black pudding to be nestled on the top before the pie lid encapsulates it.